Long-term auto loans are known to be riskier, so why are they increasing in popularity when it comes to auto lending? In the auto industry, it’s not uncommon for consumers to have negative equity in their vehicle. Consumers want the latest and greatest when it comes to savvy technology and features so they upgrade their vehicles, and with that comes a cost. In order to keep costs down, many consumers are opting for longer terms in order to keep their payments affordable. But, does this set them up for financial failure? And, how are auto loans that are larger, lengthier, and significantly more risky impacting your financial institution? Auto delinquency is on the rise. Just last year, the first quarter of 2017 saw near-record volume ($8.27 billion) in new severely delinquent auto loans. According to Experian, longer car terms continue to dominate the market, which may be adding fuel to the fire. 41.3% of used-car shoppers are taking 61- to 72-month loans while 16.2% go even longer, financing between 73 and 84 months. While these loans can benefit a borrower when it comes to how much money they’re paying each month, it does have additional risks for both the lender and borrower. The national average for U.S. auto loan interest rates this year is 4.21% on 60-month loans. Those rates vary based on a number of factors including the term length. Financial institutions typically offer terms that range anywhere from 24 to 72 months. However, in recent years, 84 months has become a more common term length for borrowers, with some financial institutions even granting 96-month loans! This may seem like a good idea at first but in the long run, it could lead to financial disaster. Longer terms mean more interest being paid by the borrower. This can easily leave your borrowers “upside down” on their car loan since they will owe more on their auto loan than what their vehicle is actually worth. With more debt on their plate, the risk increases for default and delinquency and they would ultimately be paying more for the vehicle over the life of the loan. One thing that your borrower may not think about when opting for a longer auto term is the unexpected repairs that will arise. 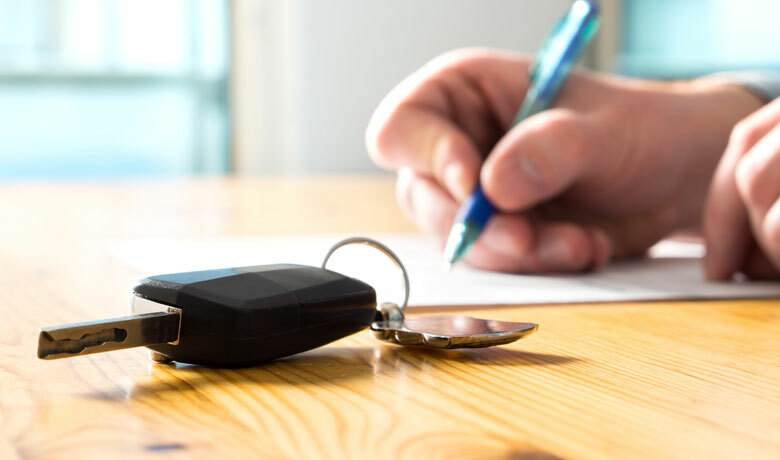 The chances that a vehicle will need repairs increases as the car ages, so with an 84-or 96-month loan there's a good chance that your borrowers will experience costly repairs during the life of their loan. They will be paying for the cost of their repairs AND still be paying their monthly auto loan payment. Once a consumer falls victim to auto debt, they tend to keep repeating the same vicious cycle. Again, this cycle leads to default and delinquency for you and your borrower. Whether you like it or not, it seems clear that the demand for lengthier auto loans is on the rise. As a financial institution, you must properly mitigate the added risk to protect yourself and your borrowers. If a borrower, especially one with a long-term auto loan, were to experience a total loss, it could potentially cause financial hardship. Programs that offer Guaranteed Asset Protection (GAP) could step in and cover the remaining balance that an insurance carrier would not cover. There are also more innovative programs that go above the norm like GAP with PowerBuy®. Adding this product to your auto lending program would protect your borrowers by offering coverage for both the balance of their auto loan as well as the depreciation of the vehicle in case of a total loss. Implementing a program that not only covers the auto loan balance but also thinks about the next steps, is the perfect way to help alleviate the extra risk that long-term auto loans have created while looking out for your institution and your borrowers.